255 Marlborough is located on the north side of Marlborough, between Exeter and Fairfield, with 253 Marlborough to the east and 257 Marlborough to the west. 255 Marlborough was built in 1883-1884 by Daniel Connery & Co. and Morton & Chesley, builders, as the home of fertilizer manufacturer Robert Stow Bradley and his wife, Leslie (Newell) Bradley. They previously had lived at 216 Commonwealth. Robert Bradley is shown as the owner of 255 Marlborough on the original building permit application, dated December 11, 1883. No architect is named on the permit application and Bainbridge Bunting’s Houses of Boston’s Back Bay does not attribute the house to a specific architect. However, Charles S. Damrell’s A Half Century of Boston’s Building, published in 1895 and based largely on Building Department records and other contemporary documents, indicates that it was designed by Carl Fehmer. Robert Bradley purchased the land for 255 Marlborough from the Commonwealth of Massachusetts on May 20, 1884, probably after the house was under construction. The land had been sold previously by the Commonwealth at a public auction and, presumably, either Robert Bradley was the successful bidder or he acquired the right to purchase the land from the successful bidder. 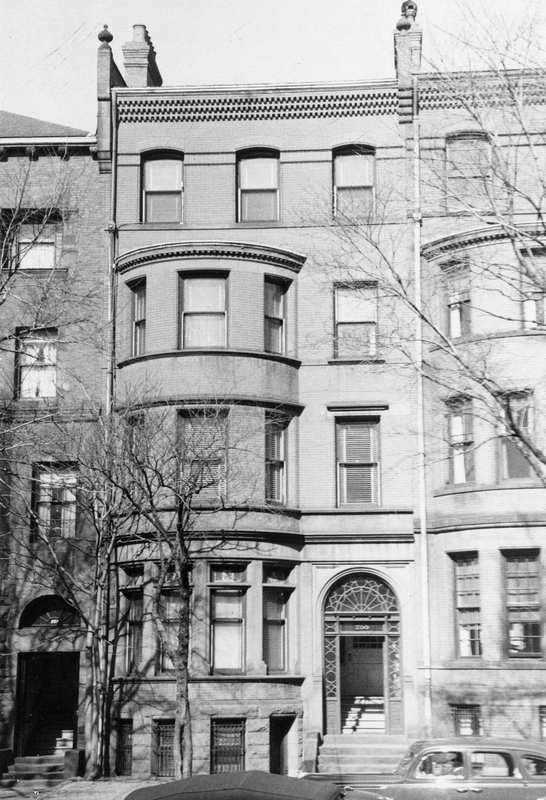 The Bradleys continued to live at 255 Marlborough during the 1900-1901 winter season, but moved thereafter to 411 Commonwealth. 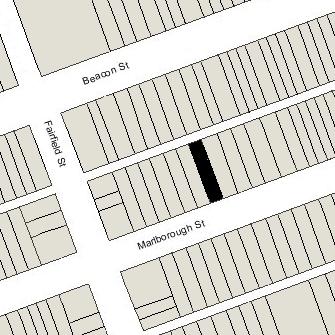 255 Marlborough was not listed in the 1902 Blue Book. On August 26, 1902, 255 Marlborough was purchased from Robert Bradley by Marion (Russell) Townsend, the wife of stockbroker William Smith Townsend. They previously had lived at 178 Beacon. They also maintained a home in Plymouth. Marion Townsend died in 1933. 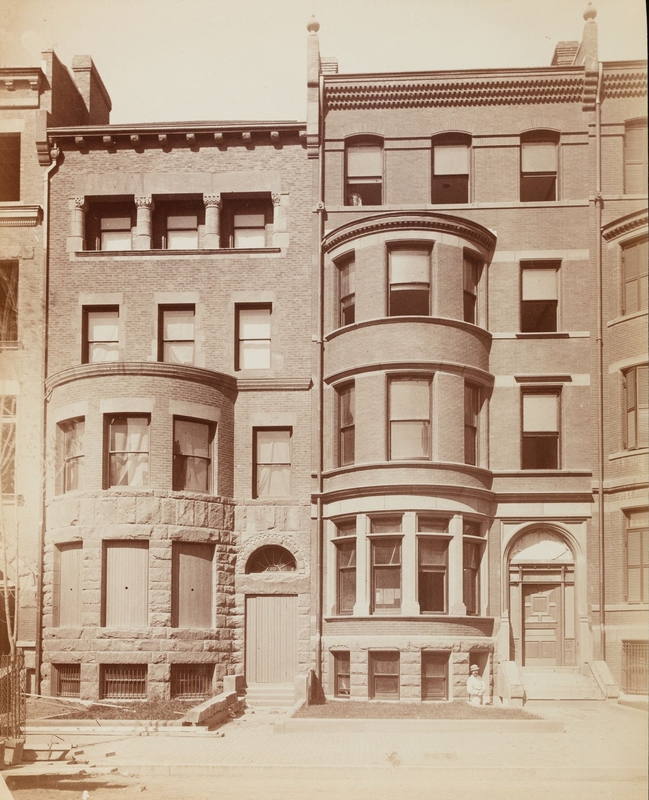 William Townsend and their twin daughters, Elizabeth and Rose, continued to live at 255 Marlborough. William Townsend died in November of 1935, and Elizabeth and Rose Townsend moved thereafter. On June 25, 1936, 255 Marlborough was acquired from Marion Townsend’s estate by Elizabeth Parker (Townsend) Torbert, the wife of Dr. James Rockwell Torbert, a physician. The Torberts lived at 252 Marlborough. Elizabeth (Townsend) Torbert was the first cousin, once removed, of William Smith Townsend (her grandfather, William Edward Townsend, with the brother of William Smith Townsend’s father, Thomas Davis Townsend). In July of 1936, Elizabeth Torbert applied for (and subsequently received) permission to convert the property from a single-family dwelling into four apartments. On October 27, 1936 – probably before the remodeling was started – 255 Marlborough was acquired from Elizabeth Torbert by Bessie Everett (Griffin) Norris, the wife of real estate and insurance broker Forris Wood Norris. In June of 1937, Earl S. Guild, acting on behalf of Bessie Norris, filed for (and subsequently received) permission to convert the property from a single-family dwelling into seven apartments. On July 1, 1938, Bessie Norris transferred the property to her son, Forris W. Norris, Jr., and on July 10, 1940, he transferred it back to her. On June 21, 1948, 255 Marlborough was acquired from Bessie Norris by Charles George Simmons and his wife, Madelon (Shea) Simmons. They lived in the top floor apartment, which was damaged by a kitchen fire on February 5, 1949. Charles Simmons died in January of 1972, and on August 26, 1996, Madelon Simmons transferred the property to a trust with herself, Charles T. Shea, and Norma F. Simmons as trustees. Madelon Simmons died in March of 2007, and on September 11, 2007, 255 Marlborough was purchased from her trust by general contractors and real estate developers John P. Holland and Joseph Holland as trustees of the 255 Marlborough Street Realty Trust. In December of 2007, the Hollands applied for (and subsequently received) permission to remodel the property and convert it from seven units into three units. On May 26. 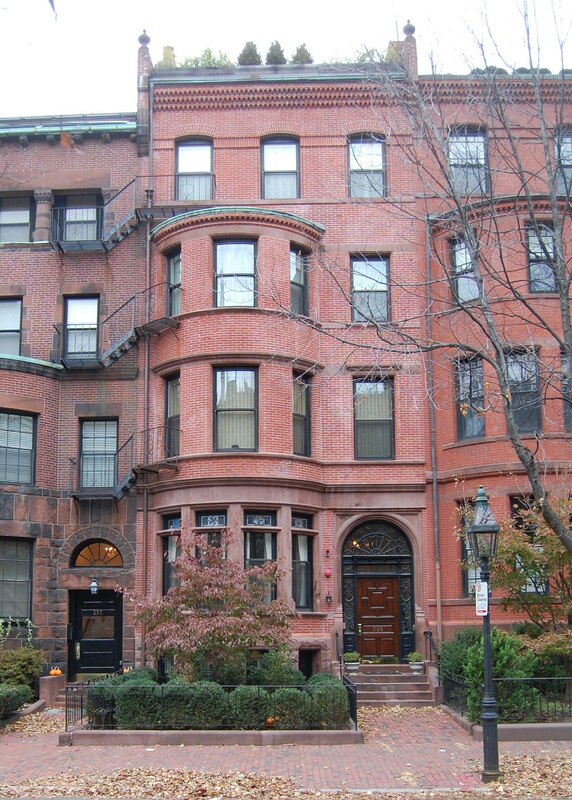 2009, they converted the property into three condominium units, the 255 Marlborough Street Condominium.